^ HOWARD W. FRENCH. 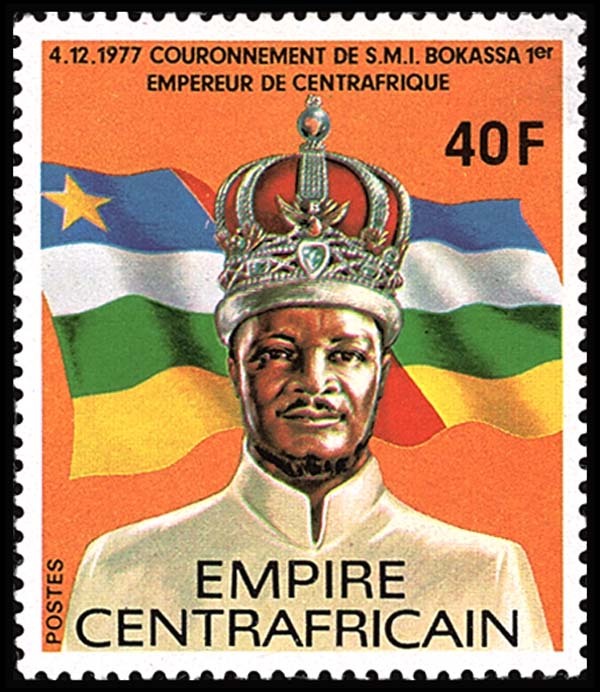 Jean-Bedel Bokassa, Self-Crowned Emperor Of the Central African Republic, Dies at 75. 纽约时报. 1996年11月5日 [2007-12-07] （英语）. ^ Bokassa's video interview with Lionel Chomarat & Jean-Claude Chuzeville. ^ 友邦元首强索吧女 台外交部助“和番”. 明报. 2007年8月27日 [2007-12-07]. ^ 饱经沧桑 中非残暴好色皇帝博卡萨的台湾爱妃. [2007-12-07]. （原始内容存档于2007-08-19）. Amusing story about Emperor Bokassa's "crown jewel"